Geoff King’s new book, New Hollywood Cinema: An Introduction, sets his project out in plain English and with clear and concise language traces a path from the ‘Hollywood Renaissance’ of the late 1960s and ’70s to the corporate blockbusters of the 1980s and ’90s and onwards, mapping out a definition of ‘New Hollywood.’ As a period after the total dominance of the studio era, ‘New Hollywood’ as a phrase or title has been used variously to cover broad aspects of filmmaking through these decades, often in contradictory ways. King believes that these contradictions can be reconciled, and that what is needed is a workable context from which to stage an analysis of the various meanings of ‘New Hollywood.’ For this he has chosen a pragmatic three-pronged approach with style, industry, and social-historical context as demonstrable categories of what he claims is a misunderstood era. Using these categories he explains the movements and changes during the ‘post-classical’ years with attention to specific films and directors as well as the evolving industry in which they operate. King provides a comprehensive list of contradictory categories that have often been associated with ‘New Hollywood,’ from the breakdown of the studios’ vertical integration of production, distribution and exhibition to the rise of the American auteur and the popularity of both counter-culture and ‘right-wing’ themes, along with the appearance of massive blockbuster films and the dominance of multi-media conglomerates. All of these and other aspects have been labelled ‘New Hollywood,’ despite the obvious schism between the 1960s-70s and 1980s-90s. To counter this King explains that these two conceptions can be justified if ‘New Hollywood’ is used as an encompassing term and the ‘Hollywood Renaissance’ is considered as an early phase within it. The long-term problem is that it becomes too easy for King to ‘place’ these movements and changes, explaining the total integration of the industry as an evolving machine, and it becomes superfluous to bother with any form of nomenclature. There is nothing wrong with the logical construction of King’s argument, so lucidly laid out; however, it seems as though everything after the ‘classical’ phase is part of ‘New Hollywood.’ He outlines just how elements of the ‘Renaissance’ period inevitably led into the era of the corporate blockbuster, and indeed uses this as a label of differentiation, yet he still puts all these eggs in the same basket. At the start of the book a concise history lesson is provided on the ‘classical’ period, defined with reference to the same three categories that King will use for the ‘post-classical’ years. In terms of style this means the dominance of ‘classical’ filmmaking, where continuity editing, eyeline matches, the 180-degree rule, cause-and-effect storytelling, and clear character motivation all contribute to a form that entertains rather than challenges. The industrial climate of this period was essentially a monopoly controlled by the studios, through the three arms of production, distribution, and exhibition in the theatres that they owned. (The government solution to breaking the control of this monopoly was to force the studios to sell off the exhibition division of their businesses. It was a weak solution considering that the studios have been able to exploit distribution as the real source of market control, without the liabilities and costs associated with exhibition.) The social-historical context that preceded the ‘Renaissance’ is, by King’s admission, the most shakily defined of the three categories, even in hindsight. During this time the dominance of the Production Code began to waver; it was eventually abandoned in favour of the ratings system that is still in place today. With both the ‘radical’ cinema of the ’60s and the relative conservatism of current blockbuster films, King suggests less a direct relation between films and the attitudes of society and more the opportunism of studios shaping their products for commercial reasons. 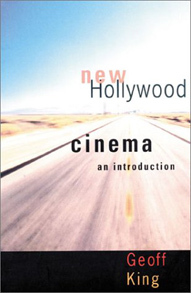 Following this historical-structural introduction, King’s first two chapters are titled “New Hollywood, Version 1: The Hollywood Renaissance” and “New Hollywood, Version 2: Blockbusters And Corporate Hollywood.” Both chapters are divided into neat sub-headings that use style, industry, and social context to define his content. These chapters are the real meat of this book, with much of what follows being repetitious in re-articulating the lessons outlined here. However, I don’t want to dismiss what King is able to achieve. There is a lot of information to process, and many over-simplifications that need to be addressed, before accurate conclusions can be made on the historical movements of Hollywood. King never misses the chance to draw out the connections and continuities between one period and the next, arguing that Hollywood history is a lot more linear than often believed. Perception has exaggerated many of the changes from one period to the next, and King attributes the high visibility of anti-Vietnam sentiment and various counter-culture movements to mass-media coverage. He doesn’t deny these social factors, but does suggest that claims of a relationship between the style and content of certain films and the social-historical context can be exaggerated or even false. Where All The President’s Men (Alan J. Pakula, 1976) is directly related to Nixon and the Watergate scandal, films such as The Parallax View (Alan J. Pakula, 1974) and The Conversation (Francis Ford Coppola, 1974) might mirror the cynicism of the times but were actually the products of earlier eras: there is a distinction “between where films like these come from and what they become part of” (23). Perception is also blamed for the often simplistic dismissal of blockbuster films, criticised for lack of narrative, the exploitation of ancillary markets, the sacrifice of character depth for the thrill of roller coaster-like rides, and the commercialisation of all aspects of the art. King is very thorough in explaining the relationship between a film and its subsequent use as an “engine” to drive sales through a corporate empire, but he is also quick to counter the common assertions against the blockbuster film. His three chapters on “Auteurs,” “Genre,” and “Stars” continue the pattern established at the start. These aspects of filmmaking are incorporated into the Hollywood system in ways that allow for both the expression of the individuals’ art, and the functioning of commercial enterprise in the industrial context. “The film itself is not simply an incoherent and dispersible series of fragments. It has to hold its own, as a film-narrative, usually, if it is to be a reliable engine to drive the rest of the corporate machine” (222). The “Auteurs” chapter sets up a brief history of the theory as exported from France by Andrew Sarris, and explains how the concept of the director as the key artistic motivating force was beneficial to both directors and the studios. While commercial product generated by the studios was failing financially, the films by the so-called ‘brats’ were proving successful. Granting them provisional artistic control allowed the studios to exploit a tendency in the market, without ever really relinquishing control. “The freedoms of the Renaissance period were given to filmmakers by the big studios. They could also be taken away. The industry was in difficulties and latched onto a new generation of filmmakers who held the promise of being able to attract a new and younger audience” (90). Ultimately dismissive of auteurism, King provides a thematic reading of E.T. The Extraterrestrial (Steven Spielberg, 1982) to show that multiple sources such as social context can also provide a film’s meaning. He claims that auteurism continues as “a handy tag on which to hang discussion” (111) in journalism, and as a marketing tool. Strangely, he does not follow up on the relationship between film journalism and studio marketing. In an example too recent for inclusion in this book, there was a scandal at Sony where ‘pull-quotes’ were attributed to a fictional critic as part of their marketing strategy. The “Genre” and “Stars” chapters offer King the opportunity to pursue one of his prominent sub-themes: the continuities between the ‘classical’ period and the ‘post-classical’ period. This is another occasion for challenging received ideas about both the ‘stability’ of the earlier period and the novelty of the latter. Genres of the past went through many formative years in which experimentation was common, along with mixing and matching to create hybrid forms. The practice of subverting audience expectations by manipulating or combining genres continues from the Renaissance period through to the blockbuster period, as the example of the ‘revisionist’ western and King’s analysis of From Dusk Till Dawn (Robert Rodriguez, 1996) show. Although there are prominent examples of genre deviation today, many basic forms still operate, particularly the thriller, melodrama, and romantic comedy. Genres continue to be an important way studios ‘pre-sell’ films. From Dusk Till Dawn continues to be King’s primary example in the “Stars” chapter, illustrating his strategy of encompassing all the basic facets of the industry through analysis of a single film. He shows how the casting of George Clooney operates in this film and other films, from audience expectation and association to market security. The difference now is that stars have far greater power than they ever did. The studios always relied on marquee names, but those stars were under contract, whereas today they invariably have their own production companies and are able to demand a percentage of a film’s gross. Back to the theme of continuities with the ‘classical’ era, and the studios’ need to maintain control, King suggests that huge star salaries are another way of restricting the number of players in the field. This is because movie stars are still considered to be the most reliable way of attracting a large audience. By far the largest chapter in the book is “Narrative vs. Spectacle in the Contemporary Blockbuster,” reflecting its relationship to King’s earlier book, Spectacular Narratives: Hollywood In The Age Of The Blockbuster (2000). This also covers ground from the previous chapters, making it slightly repetitious but comprehensively detailing the most highly visible aspects of ‘New Hollywood.’ This is an area King feels strongly about, and where previous chapters have taken an almost conservative line through various polemical minefields, choosing exposition rather than contention, he tackles the perpetuation of a couple of myths in this chapter. He is most fervent against the work of David Bordwell in The Classical Hollywood Cinema which assumes that the ‘classic’ narrative model outlined in that volume actually dominated all forms of Hollywood production. King doesn’t deny the importance of narrative drive in any era, but is keen to point out that other factors play an important role: “Classical narrative is only one aspect of classical Hollywood. Non-narrative aspects are also important, including elements of sensation and spectacle” (181). With the music and dance routines in a musical, the slapstick antics in a comedy, or the graphic violence of westerns and gangster films, the forward momentum of narrative drive is halted as part of the pleasure associated with such genres. Along with the tendency to over-emphasise the importance of the ‘classical’ narrative goes the tendency to underestimate the continued importance of narrative in today’s blockbusters. Die Hard With A Vengeance (John McTiernan, 1995) is King’s primary example in this chapter, with a temporal breakdown of its action sequences across the body of the film, a narrative breakdown of the opening five minutes to show its ‘classical’ formation, and an analysis of how thematic and ideological issues can be raised and resolved within the narrative. “The film delivers a regular supply of action-spectacular thrills, but these are integrated into a carefully developed narrative line that employs many of the conventions associated with classical narrative” (202). Unfortunately, King does tend to fall back on language such as “noisy action” and “outlandish set-piece” (191), implying limits to his commitment to this form. The final chapter, “From Big Screen to Small” is symptomatic of the book’s main problem. By continuing to trace the relationship between cinema and its relatives in the entertainment industry, King bites off more than he needs to chew. The analysis is fine, if a little rudimentary, in outlining the economic and aesthetic relationships between cinema and television, but he loses track of his original intention. The topic becomes muddied by the inclusion of too many elements, and the definition of ‘New Hollywood’ in relation to television lacks any applicable focus beyond a broad equation to the ‘post-classical’ period. “One of the aims of this book has been to show how particular New Hollywood phenomena might be explicable in more than one way” (254). This is where King really succeeds. The book offers a very useful introduction to the ‘post-classical’ period, along with concise analysis that helps to address over-simplifications and misunderstandings that continue to plague discussions of corporate Hollywood and the blockbuster film. Michael Cohen is presently completing his Master of Arts in Cinema Studies at Latrobe University, Melbourne, and is a freelance writer on cinema.